Northern Europe is an unstable area with constant conflict and unrest. The human rights situation and level of democracy is bad in almost all countries. Since the Cold War, the area has been a political playground for the United States and Russia, with many of the local dictators supported by either country. The greatest military might in the area (excluding Russia) is a state called Uralia, founded on what formerly was known as the Grand Duchy of Finland. Uralia has troubled relationships with the Nordic and Baltic countries and has been at war with each of its neighbours. As a result of the conflicts on the area of Finland and the policies of Uralia, there are hundreds of thousands of Finnish refugees living in the surrounding countries, in particular Sweden. Some of them have become integrated into society, whereas others have been living in refugee camps for two or three generations. There are also Finnish refugees in many other countries in the world, and some Finns are internally displaced within the Occupied Finnish Territories or within Uralia itself, prevented from returning to their original homes. The Sami communities in Lapland are fragmented since the Sami cannot freely cross state borders. Moreover, the Finnish Sami are divided into those living in Lapland (inside Uralia) and those in Occupied Finnish Territories, and there is not much contact between the two communities. The Northern European states are not members in the European Union, which consists of the stable and democratic countries of Central and Southern Europe. The Middle East is a calm and peaceful area known for its involvement in human rights, with welfare states and a good level of social security (instruction for play: in the game world Middle Eastern countries are viewed in the same way as Nordic countries in real world). Uralia is a strong and stable ally of the United States in the tumultuous area of Northern Europe. It’s capital city is Turku. Despite its population of only about 6 million, Uralia has a very strong army and is the greatest military might in the area. The country has a mandatory military service for all its Ugric citizens, both male and female. The service lasts from two to three years. The state receives economic support and arms from the United States and is largely dependent on this aid. It is constantly waging wars against its neighbours. Uralia does not officially admit having nuclear strike capability, but information on a nuclear program has been leaked to the press. Uralia maintains the missile capability to strike targets as far as Denmark, over 1000 km away. Uralia is a Ugric state, which means that any person of Ugric background or who has converted to the Ugric religion has the right to Uralian citizenship. Also, Ugric citizens of Uralia have many privileges that non-Ugrics don’t have. For instance, there are residential areas for Ugrics only. About 20% of the citizens of the country are Finns and other non-Ugrics. These people are exempt from military service and generally treated as second-class citizens. The language used in Uralia is Uralic, a tongue revived in during the 1800’s Ugric nationalist movement. However, many Uralians have migrated from different parts of the world, and thus the Uralian society is a mix of many different languages, cultures and Uralic accents. Uralia is usually seen by the world as a liberal democracy, and to some extent this is true. However, about half of the population on the area controlled by Uralia consists of Finns living in the occupied territories, people who are citizens of no existing country and who have no right to vote in the elections where the Uralian leaders – who make the most important decisions concerning the fates of the Finns – are chosen. Moreover, Finnish citizens of Uralia are systematically discriminated from high positions in the society. Thus, to many it seems more reasonable to see Uralia as an ethnocracy than a democracy. Uralia has been criticized for human rights violations by the UN and several NGOs. In the occupied territories, people – including children – are imprisoned for political reasons and peaceful demonstrations are suppressed by violence. Prisoners are routinely tortured. Sometimes even Finns and Finnish Sami who live inside Uralia and have Uralian citizenship face home demolitions. This happens especially in Lapland, where Sami villages are destroyed to give way for Uralian tourist resorts or military installations. In the Cairo Accords (see history), the Occupied Finnish Territories were divided in three areas, labeled A, B and C. Area C is under full Uralian control, and about 65% of the South Coast consists of Area C. Area A is supposed to be under full Finnish Authority control (which doesn’t stop Uralian officials and troops from coming in and constantly meddling with affairs), and Area B is supposed to be under joint Uralian and Finnish control. On Area C, ethnic cleansing happens on a regular basis. Finns are not given building permits, and Finnish homes are demolished every week. The aim of these policies is to make Finns from Area C move to areas A and B, or even to Sweden or Estonia. According to the Cairo Accords, an organ called Finnish Authority (FA) is in charge of local affairs in the Occupied Finnish Territories. It consists of a parliament and a president, and general are officially supposed to be held every four years. However, no general elections have been held since The Party of Christ (see political parties) won the general elections of 2006. As a result, the armed wing of the former ruling party, Social Democratic Liberation Party (SDLP) attempted a coup with Uralian and US support. The clashes ended with The Party of Christ victory on the Åland Islands and SDLP victory on the South Coast. Now, the Åland Islands are ruled by The Party of Christ which has established an authoritarian regime based on Christian values. The South Coast is still ruled by the Finnish Authority that is controlled by SDLP. General elections have not been held in either territory since then. Municipal elections are still held on the South Coast but the particiation rates are low. On the South Coast, the area allocated for Finns is constantly diminishing because of Uralian settlement building. The separation wall built by Uralia runs through the territory, sometimes splitting Finnish villages in half. The wall greatly hinders movement, and many Finns have to cross it daily when travelling to work or school. This means you have to sometimes queue for hours at a checkpoint, waiting the Uralian soldiers to check your papers. Harassment and humiliation by the soldiers is common. Some of the Uralian settlers are violent religious fanatics who attack Finns in order to drive them from their homes. Technically the Finns have the right to complain to the Uralian authorities, but most of the time the complaints lead nowhere. The Uralian army protects the settlers and violently disperses demonstrations held by Finns. The situation in the Åland Islands is even more desperate. Since the 2006 clashes, the islands have been under a tight maritime siege by Uralia, and they are now practically an open-air prison. Few people are let out, and even humanitarian aid workers can have difficulty getting in. In the war of 1950, large numbers of Finnish refugees poured to the islands. As a result, the Åland Islands, which used to be mostly Swedish speaking, now have a population of mostly Finnish speaking Finns (especially as many Swedish speakers left for Sweden in the aftermath of the 1970 war). There are about 1,5 million Finns living in the Åland Islands, and their conditions are crowded and unsanitary. There are shortages of food and clean drinking water, and blackouts are an ongoing problem. Many homes have no proper heating in winter, and this leads to deaths every year. Moreover, the islands are bombed by the Uralian air force and navy every now and then. According a report recently published by the UN, the islands will become uninhabitable before 2020 unless measures are taken to change the situation. It is the official viewpoint of the UN, the EU and most countries in the world that the occupied territories are not a part of Uralia, that the siege on Åland should be immediately ended and that the separation wall is illegal. However, the UN Security Council is quite helpless in the issue as long as United States has the veto power. However, frustration with the situation is slowly growing in Central and Southern Europe, and there are movements calling for boycott of Uralian goods. 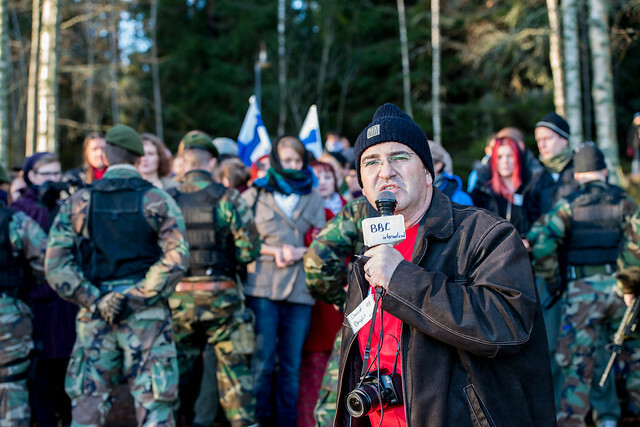 Numerous international human rights activists work in the South Coast and there is an annual aid flotilla trying to reach the Åland Islands (regularly stopped by the Uralian navy). Sweden hosts a big population of Finnish refugees from 1950, 1970 and later. It is sometimes estimated that almost half of the population has its roots in Finland. Indeed, there are many wholly Finnish speaking suburbia around Stockholm, the capital city of Sweden. The Åland Islands were controlled by Sweden between 1950 and 1970, but the country has denounced any claims to the territory in an agreement stating that the islands belong to the Finns. Sweden is a monarchy ruled by the autocratic Bernadotte Dynasty. The current King Karl Erik has close ties with the United States, and Sweden has a peace agreement with Uralia. However, the sentiment of Swedish people is by and large anti-Uralian and pro-Finnish. The dynasty has previously ruled the people with an iron fist, but the current king Karl Erik is widely seen as a fool and often made fun of by the general public. Lately, there have been demonstrations against the regime in Sweden, and a pro-democracy movement is growing. Estonia has been an independent state since the Russian revolution in 1917, and it has never been occupied by the Soviet Union. However, a large part of Estonia was occupied by Uralia from the 1980’s to the early 2000s. The country is still technically at war with Uralia. An armistice agreement has been in force since 2007, but hostilities could escalate at any time. Estonian citizens are not allowed to travel to Uralia, and Uralian citizens are not allowed into Estonia. Russia supports some of the anti-Uralian militant factions in Estonia with arms and money. Estonia is technically a democracy, yet the system has many flaws. Estonia has officially denounced any claims to the territory of South Coast that it controlled in the time period between 1950 and 1970. The Estonian position is that the territory belongs to the Finns. Norway is a wealthy country, thanks to its oil reserves. However, the wealth is very unevenly distributed and many Norwegians live under the poverty line. Norway co-operates militarily with the United States and there are US military bases on Norwegian soil. Norway has a peace agreement with Uralia. The population, however, sympathizes at large more with the Finns than with Americans and Uralians. The Norwegian president is an autocratic ruler backed by the United States. Recently there have been large scale demonstrations against him, demanding democracy. The protests have been violently suppressed by the Norwegian army. Denmark is a Russian backed dictatorship. The country is technically at war with Uralia, but an armistice agreement is currently at force. Danish citizens are not allowed to travel to Uralia, and Uralian citizens are not allowed into Denmark. There is a growing movement for democracy inside Denmark, yet with the iron rule of King Christian, the struggle will be hard. Russia is currently ruled by the duma and President Anatoly Salnikov. The country has been more humane and democratic than in the real world, both during Soviet and post-Soviet times. Finnish resistance movements originally had a Socialist ideology and were partially funded by the Soviet Union. As a result, Russians are usually seen as friends in Finland. However, Russia has always avoided direct war with Uralia although it supports some of the countries in the area opposed to the United States and Uralia. Russia has normal diplomatic ties with Uralia although the relations are sometimes tense. The Finns have realized long ago that no real help is to be expected from the neighboring superpower. Instruction for play: In in-game conversations on politics and the North European power balance, it might be best to leave Russia out of the discussion.